Ibuprofen is a popular over the counter pain reliever and fever reducer. It is available for children and adults and can be used for a wide variety of illnesses and conditions. If you have never taken ibuprofen before or you aren't sure if it's right for your problem right now, you'll get the basics on this common drug here. In the United States, ibuprofen is sold as brand-name medications Advil and Motrin, as well as multiple generic and store brands. Adults – 1 to 2 caplets every 4 to 6 hours as needed for fever or pain. Do not exceed 6 caplets in 24 hours, unless directed by a doctor. Children (under 12 years old) – Ibuprofen can be used in children 6 months old and up. Follow dosing directions on the label based on your child's age and weight or ask his health care provider for specific dosing instructions for your child. 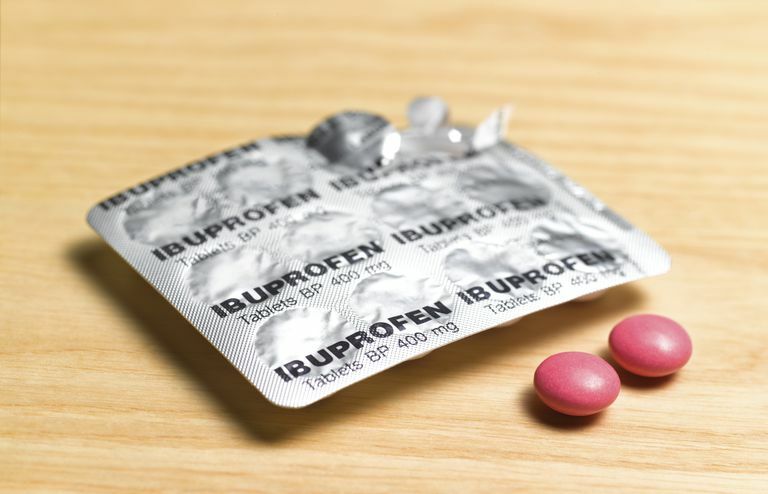 Ibuprofen is an anti-inflammatory medicine, meaning it reduces swelling and pain caused by irritation in your body. It is also useful for bringing down fevers. It's actually quite a useful medicine if you have an illness like the common cold or the flu. These viruses can cause aches and pains, fevers, sore throat, headache, and other discomforts. Taking ibuprofen even if you don't have a fever may bring you some relief from the pain caused by your illness. Myth or Fact: Can Ibuprofen Cause Weight Gain? Misconceptions abound about nearly every medicine available. One question about ibuprofen that comes up from time to time is whether or not it can cause weight gain. Taking ibuprofen doesn't increase body fat and it won't make you eat more. However, it can affect your kidneys if you already have kidney problems or if you take it frequently for long periods of time. When your kidneys don't function properly, you can retain water, which may appear to be weight gain. Although this is possible, remember that this is rare with ibuprofen use. If you're experiencing this, talk to your doctor to get to the bottom of what is causing it. It is also possible to have a severe allergic reaction to ibuprofen. Although rare, these signs may include: hives, swelling, difficulty breathing, shock, rash, blisters or wheezing. If these symptoms occur, discontinue use and seek medical attention right away. Do not use Ibuprofen if you have ever had an allergic reaction to a pain reliever or fever reducer. Do not use right before or after heart surgery. Talk to your health care provider before using ibuprofen if you are having any type of surgical procedure. Some people experience stomach discomfort or irritation when taking ibuprofen. Taking it with food or milk may help. In some cases, taking ibuprofen continuously for long periods of time may increase the risk of heart attack or stroke. Ibuprofen is a great medication when it's taken properly. It is generally very effective at bringing down fevers and relieving minor aches and pains. Advil Tablets. Advil. 2006. Wyeth Consumer Healthcare. NIH. Ibuprofen Tablets, USP 400mg, 600mg and 800mg. "Motrin IB." Motrin Family of Products. 2006. McNeil Consumer Healthcare Division of McNeil PPC, Inc.
Is the Pain Reliever Aleve Right for You? What Is RSV? It's Respiratory Syncytial Virus. And It Can Be Serious. Can a Cold or the Flu Cause Neck Pain? Which Type of Sinus Congestion Is Affecting You? Can I Take This Cold Medication With That One?